When it comes to counting cards, it is easy to become overwhelmed with various systems that involve keeping track of various intricacies with keeping your eye on the count. Developed by card counting legend Arnold Snyder, The Zen System of card counting is a little bit of a different take than traditional systems, as it uses a simpler point system for individual cards, making the system more user friendly than some more advanced techniques. While the technique isn’t the easiest for new card counters, it is one that intermediate counters can move on to once they have their basics down. Of course, using any blackjack card counting system does require you to use basic blackjack strategy, which is something that you really do need to have mastered before expanding out to counting cards. 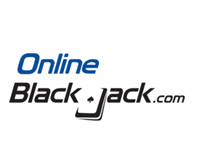 If you are unsure as to what basic blackjack strategy is, we highly encourage you to read up on this essential blackjack skill here. Unlike other advanced card counting systems that track Aces separately, The Zen includes Aces in the running count, which does make the system a bit easier to follow if you are newer to card counting. In order to take full advantage of The Zen Count, players must take the running count and divide it by the number of decks remaining in the dealer’s shoe. This is called the “True Count”, and is used to help scale the amount you will wager in order to take advantage of the increased odds when the advantage is the player’s and not the casinos. In order for players to take advantage of The Zen System, conditions must be right. As usual, we advise players to try not to look completely brazen in their card counting activities, so that you are less likely to arouse suspicion from dealers or pit bosses while at the table. A suggested guide to bet sizing while using the Zen Count is as follows, though you are free to adjust this to fit your own taste and risk profile. Disguising your card counting is a bit of a challenge depending on where you are playing. If you are in a popular casino with aggressive pit-bosses, most advantage players will stick to the sidelines until the count becomes favorable in order to begin their betting with the upper hand. This process is known as “Wonging“, after famed Blackjack advantage player Stanford Wong. Once the player advantage drops, the player will then leave the table and move on to another table, lurking until the odds are again in his favor. Conversely, card counting is a hard thing to do, and the fact that you are putting in all of this work means that your advantage will only go up by maybe 1% at the most. Do not get delusions of grandeur here in thinking that you are going to hit it big overnight; effective card counting is a slow process that will see your bankroll gradually climb over time. If you play this system effectively and accurately you will see results, just don’t expect to become an overnight millionaire with The Zen Count. Counting cards is not illegal, but casinos are well within their rights to ask you to leave if they catch you doing it. Like we mentioned above, The Zen Count is not one of the more flagrant looking card counting systems, but the risk of being caught is always there, and once you are branded a card counter, the odds of being allowed to come back and play are stacked against you. We urge you to be discreet in your methods and to not act too aggressively in your bets. The Zen Count is a good intermediate strategy that allows users to maintain a simplified count with Ace usage that is a bit easier than some other advanced count systems.